At some point, probably next summer, the Air Forces (VVS) will cease being one of Russia’s three armed services. The Aerospace Forces (VKS or ВКС) will take their place. The Aerospace Defense Troops (VVKO) will likewise disappear as a branch and get rolled into the new VKS. Russia will be left with three services and two branches (not three of each). 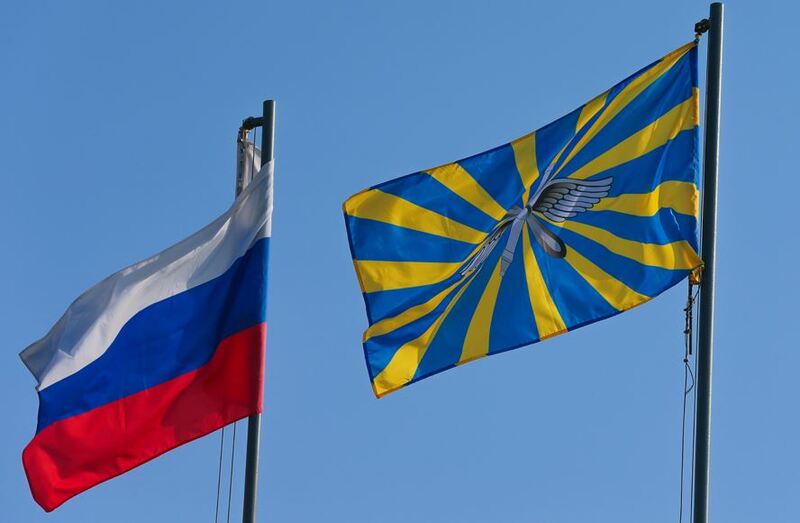 The Aerospace Forces will be responsible for all Russian air forces and air defense (and more). This news comes on the heels of six months of studious MOD denials that such a move was even contemplated. It began quietly on 1 December with Defense Minister Sergey Shoygu’s remarks to a regular military leadership videoconference. It echoed an earlier decision to reverse course on Anatoliy Serdyukov’s large composite air bases and groups and put aircraft back into more dispersed divisions and regiments. By 10 December, Interfaks-AVN reported that the decision to replace the VVS with the VKS awaited only an official announcement. The source also claimed the first CINC of the new service would be a general officer with experience commanding large inter-service [unified or joint] troop groupings, including aviation and PVO. The most likely candidate — according to the source — Central MD Commander General-Colonel Vladimir Zarudnitskiy. Then Defense Minister Shoygu made it official on 18 December when he said creating Aerospace Forces would be a priority task for 2015. TASS reported the VKS CINC will have deputies for aviation, air defense, missile defense (PRO), and space. It also indicated that VKS will control all current VVS aviation, including frontal and army aviation. But its sway over the latter two — with the exception of fighter aircraft — will be “purely nominal,” and they will be employed in “coordination” with MD commanders. Troop PVO will apparently continue to protect army formations. Such a potentially disarming threat might mobilize the military and public against America, but Korotchenko and the VKS will have to wait a very long time for it to materialize. And if it doesn’t appear, then the deterrent worked, right? A no-lose proposition from Moscow’s perspective. VKS will be something of an effort to resurrect or reconstruct Soviet PVO Strany — national air defense — that was dismantled beginning in the late 1970s. Serdyukov’s reorganization of the VVS and creation of VVKO are criticized now as focused solely on saving money. The current thinking is that all aerospace defense systems should be concentrated in a single service and single CINC with authority and responsibility for protecting the country’s aerospace borders. The new VKS will be anything but compact, as President Putin often calls on the army to be. They will be a sprawling enterprise that may be challenging to link and inter-connect for operations as a unified command. If Serdyukov’s changes were too economy-minded, this one errs on the side of Soviet-style giantism. And now isn’t an auspicious time for expensive undertakings. There are practical issues too. How will the VKS CINC manage competing requirements for modern fighter aircraft from frontal aviation and air defense?Their number is limited and insufficient for both needs. So creation of VKS won’t change the fact that they will be spread thinly over a gigantic landmass. Moral of the story: Reform, reorganization, and reshuffling never really end no matter the boss — Serdyukov, Shoygu, etc. VKS may be the answer for a time, but they’re very unlikely to be the last word. P.S. Various reports on VKS provided some indication of deployments in 2015. What is currently the VKO brigade (or will become a PVO division) in Novosibirsk may receive the S-400 this summer. Shoygu said the MOD will put an air and air defense army (AVVSiPVO or АВВСиПВО) in the Arctic. More recently, TASS reported an S-400 regiment will be deployed on Novaya Zemlya. The deck of generals has been shuffled somewhat. But fairly little notice was given to the mid-June reassignments of General-Colonel Vladimir Zarudnitskiy, General-Colonel Nikolay Bogdanovskiy, and General-Lieutenant Andrey Kartapolov. 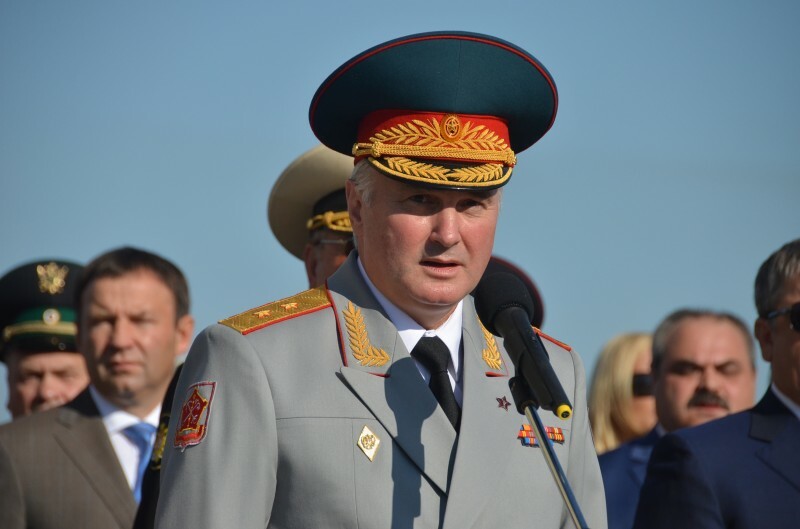 General-Colonel Zarudnitskiy departs the General Staff’s Main Operations Directorate (GOU) to take over the Central MD, replacing General-Colonel Bogdanovskiy. Zarudnitskiy’s background is pretty well summarized here. He is 56. 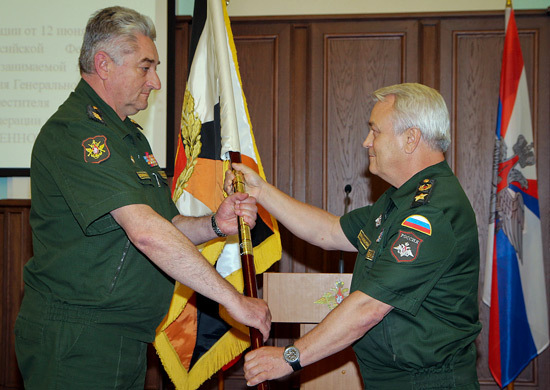 Bogdanovskiy leaves the Central MD to become First Deputy Chief of the General Staff — a post recreated after former Defense Minister Serdyukov cut it. Bogdanovskiy’s had an interesting career path. He commanded an army in the Far East before becoming a deputy commander of the old Far East MD. He served as First Deputy CINC, Chief of the Main Staff of Ground Troops. He commanded the old Leningrad MD. He was again a deputy CINC of Ground Troops and Chief of the Main Combat Training Directorate from early 2011 until his late 2012 assignment to the Central MD. Bogdanovskiy was early rumored to be a candidate to replace General-Colonel Chirkin as Ground Troops CINC. He is 57. Find coverage on Zarudnitskiy and Bogdanovskiy at Mil.ru. 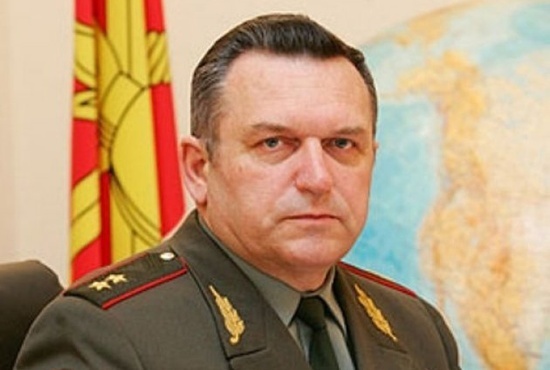 General-Lieutenant Andrey Kartapolov is a fresher face. He’s 50. The most cursory review of Kartapolov’s career shows he was an O-6 commanding a machine gun-artillery division in the Far East in the early 2000s. 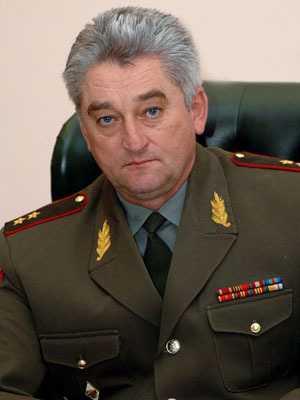 In 2007, he served as a deputy commander of the Novosibirsk-based 41st CAA. He then became First Deputy Commander, Chief of Staff for the 22nd CAA in Nizhegorod. In 2010, he commanded the 58th CAA, and in early 2013 became a deputy commander of the Southern MD. After a very brief stint as First Deputy Commander, Chief of Staff of the Western MD, he will head the GOU. Kartapolov’s wiki bio says he served as chief of an unidentified GOU directorate in 2009-2010. But GOU chiefs of late still seem more “from the troops” than “born and bred” General Staff officers.